How do I replace my lawn with a native garden? Contact both your local water district and Save Our Water (SaveOurWater.com) and check out their lawn removal rebates. Even if your lawn looks bad and hasn’t been watered in years, you may still qualify for a $2 per square foot rebate. If you’ve applied for a rebate, don’t start work on your lawn until you’ve received approval from both your water district and Save Our Water. When you have approval, sheet mulch your lawn. (This means cover it with cardboard and wood chips.) Your lawn should be left to sit for three to five months; during this time the lawn will die, the cardboard will begin to break down, and your soil will be improved. While your lawn is decomposing, take the opportunity to learn about native plants. Get inspired by visiting private native plant gardens during any of the native plant tours that take place in April and May (see page 15). These tours give you the chance to get ideas for home gardens, see plants that appeal to you, take photographs, meet designers, talk with homeowners about their experience, attend talks, and more. If you missed garden tour season, visit botanic gardens that have native plant sections. CNPS’ CalScape.org is a terrific way to find out what plants are local to your area and identify plants that match your criteria for desired water use, light, soil type, flower color, and more. Use the helpful plant list builder to create your personal wish list of plants best suited for your location and view shared lists and photos from other gardeners. A knowledgeable native plant garden designer can often save you money in the long run by helping you choose plants most likely to thrive, thus setting you up for success. Even if you know you want to design the garden yourself, a professional can review your plan to ensure that you have grouped plants that have the same water and light needs, and that you have selected plants for their mature size, not the size they are in their four inch pots. 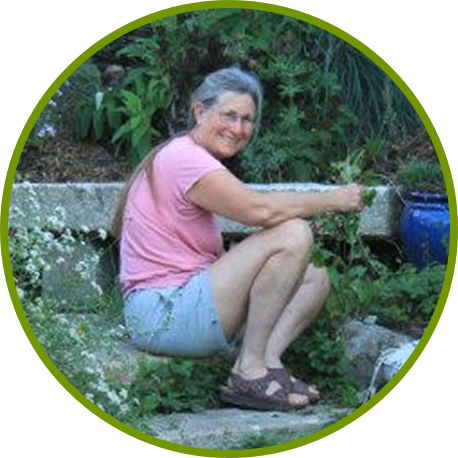 Contact your local CNPS chapter or native plant nursery for recommended designers. Fall is the perfect time to get your plants in the ground. The days are shorter and cooler, and the rains can help your plants become established. Last, enjoy the butterflies, bees, and birds that will come to visit your garden for the seeds, berries, nectar sources, nesting material, and shelter you will have provided them. Learn more about grass removal. I like Kurapia as a lawn replacement. It looks great. Sorry to hear about your grass removal woes! The most important thing to do when considering grass removal options is to first know what species of grass you are dealing with. Based on your description, it sounds like it could be Bermuda, Kikuyu, or St. Augustine grass, but you will need to do some further investigation to identify it. Once you know what kind of grass you are dealing with, you can determine with grass removal method or combination of methods will work. Sheet mulching can be an effective removal method for these grasses if done during the hottest part of the year, if the entire area is completely covered/deprived of light, and if it is done long enough. They are stubborn grasses, however, and some people do have to resort to other methods. Take a look at our Grass Removal Options page for more information! Going Native Garden Tour is May 4-5 2019 in Santa Clara Valley. Over 50 gardens are on the tour, most of them private home garden. The tour is free but you must register at gngt.org to get the map.